A wonderful follow-on to yesterday’s post. As many of you will know, yesterday I published a post under the heading of Dogs: Aren’t They Incredible. It was the first of three essays that have been published by The Smithsonian about the wonderful ways of the dog. So when I was wondering just what to share with you today and was browsing ‘stuff’ this story over on the Care2 site struck me as a perfect companion to yesterday’s post. Editor’s note: This post is a Care2 favorite, back by popular demand. It was originally published on October 4, 2015. Enjoy! 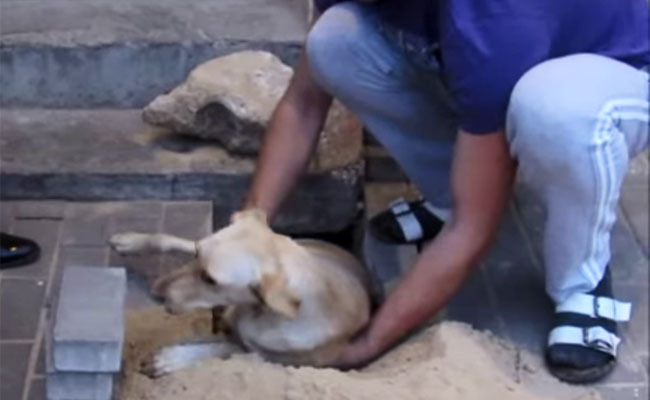 A pregnant dog buried alive under paving stones for two days was rescued by local hero Rustam Vadim who heard a soft barking sound as he walked home with family in the Russian city of Voronezh. Concerned about the dog’s survival, Rustam immediately went to the public utilities office to ask for help in rescuing her but was told that that department had not made the repair to a long-standing large hole in the street and they could not help. Apparently, workers from a different government agency had made the repair and were unaware of the dog hiding in the hole as they sealed it over with paving stones. The dog was reportedly taken to a shelter and is being cared for. How many of you would like a man like Rustam as your friend or neighbor? How many, indeed, would like Rustam as a friend. In fact, it underlines the truth that despite all the gloom and doom we read about on a daily basis most of the people out there are nice people! 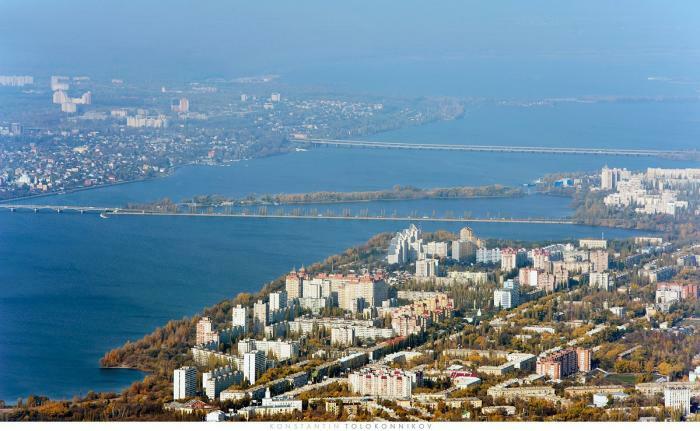 It appears to be about an eight-hour drive South-south-east of Moscow and here’s a picture of the city. I am glad to hear that the dog was rescued. Especially in her delicate condition. There are good people out there. Yes, it’s a wonderful story. Thanks Susan. So beautiful and yes we do have people like Rustam who are absolutely wonderful. Great loved the post Paul. A good man. We need to hear stories like this. Please spread the word! Best wishes to you over there. The poor, poor thing. I just hope those workmen (somehow) didn’t know she was in there. I have to admit, John, that the thought also flicked through our minds yesterday evening. Either way, well done Rustam. A touching story with a happy ending. Yay! It’s a great shame we don’t have any information as to how the dog is being looked after now. But still a wonderful story. 😊 and a very warm welcome to this place.